In addition to our superior pure Acrylic paints, we developed a unique line of Top Coats, sure to have you putting a lid on that toxic can of wax. 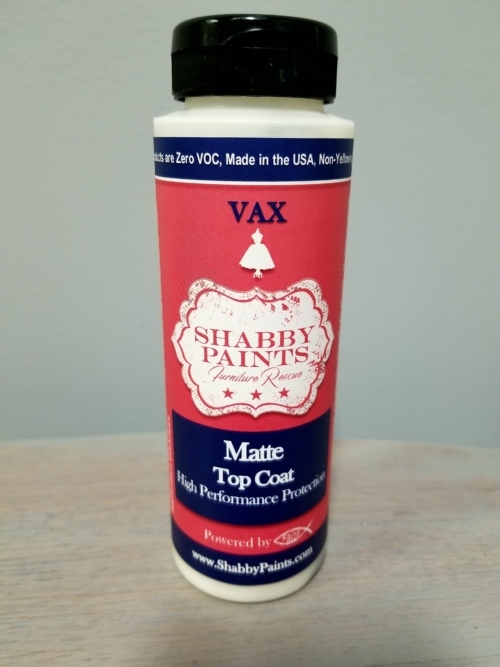 Never wax or buff again with our exclusive, easy to use, outdoor rated, Satin and Matte VAX, developed exclusively by Shabby Paints. VAX is our revolutionary protective finishing product. 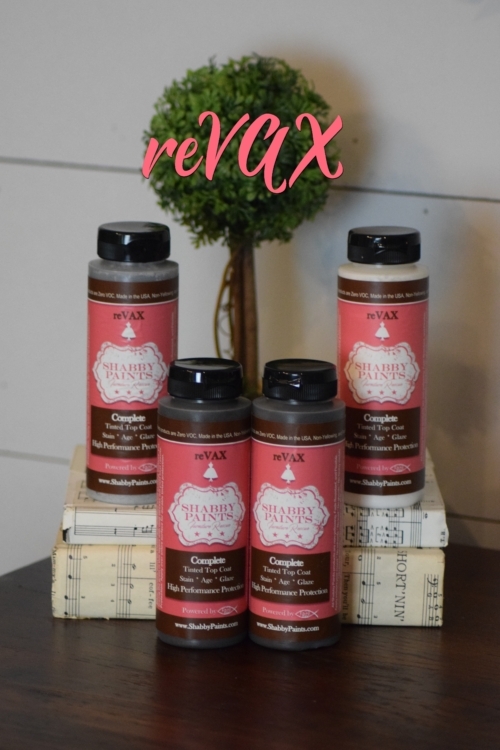 We combined the matte-like look and feel of wax with the durability of varnish, without fumes or dangerous chemicals! 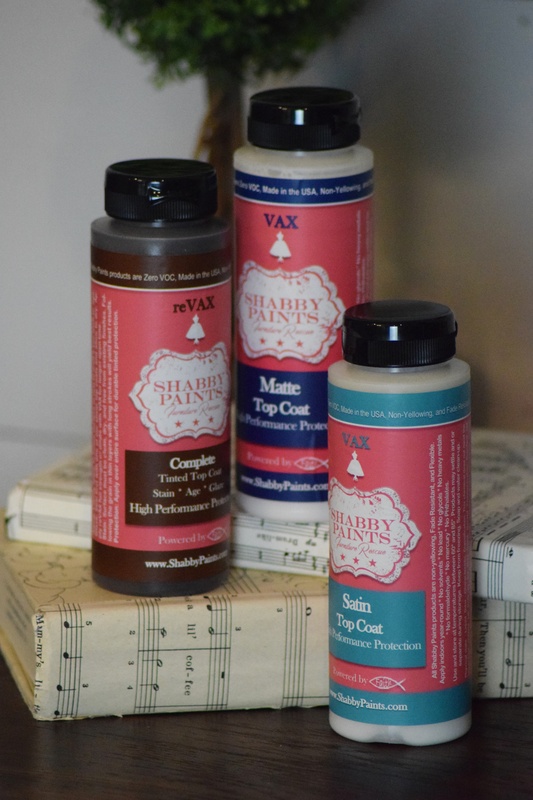 VAX is applied in seconds, dries in minutes, does not require buffing, and unlike wax it never needs to be reapplied. Yes, it is that easy! Offering real durability that holds up to real life. Say goodbye to temporary wax finishes that can only survive if you don’t touch or use them. Say hello to fabulous durable, cleanable, finishes that last, finally! 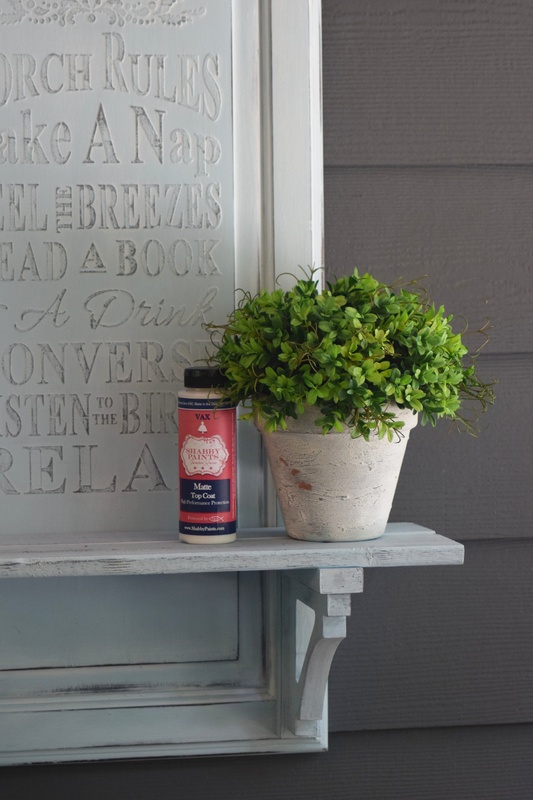 Plus, with zero VOC’s, you can paint inside the house, those days of shivering in the garage, or on the back porch are over. Choose an option16 oz.8 oz.